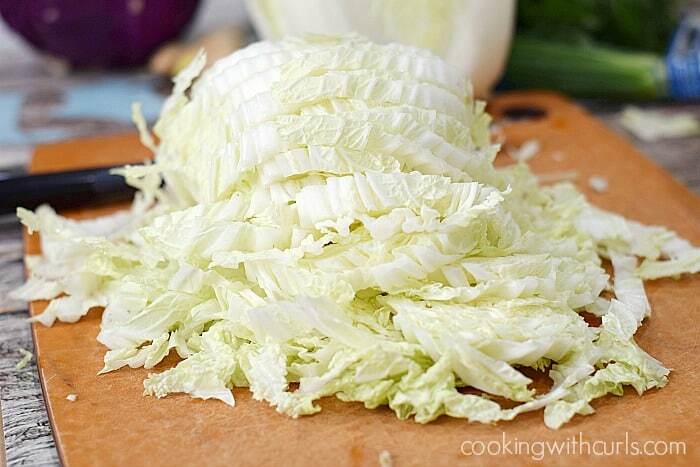 Welcome back to this month’s Feast & Devour… Cabbage Edition! 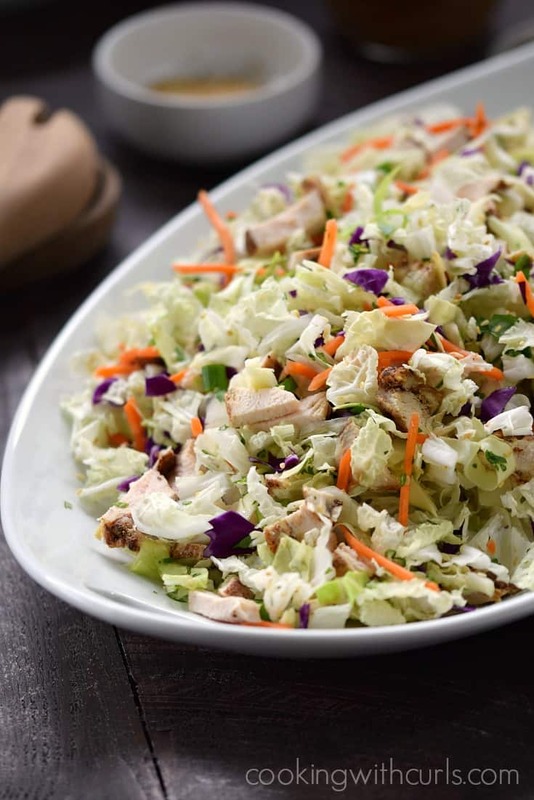 When I hear cabbage, the first thing I think of is Asian Sesame Chicken Salad with Asian Orange-Ginger Dressing…so yummy!! Which is strange considering the fact that I am Irish, I should be thinking Corned Beef & Cabbage, LOL Luckily my friends have that covered for me….. This Asian Sesame Chicken Salad is light, yet filling and manages to remain Whole 30 and Paleo compliant…Booyah! The Asian Orange-Ginger Dressing is tangy from the orange juice, and a bit sweet from the coconut aminos. And of course the ginger and garlic add a bit of zing to the mix. 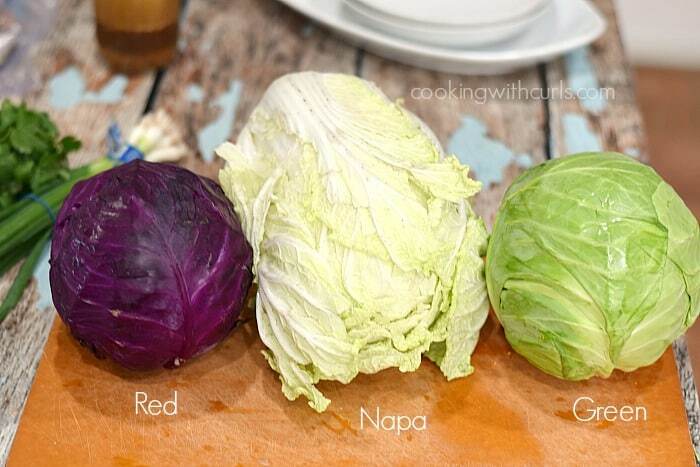 First I will show you all of the ingredients just to make sure everyone is familiar with them…..
We are using 3 different types of cabbage to make this salad: Red, Napa, and Green. 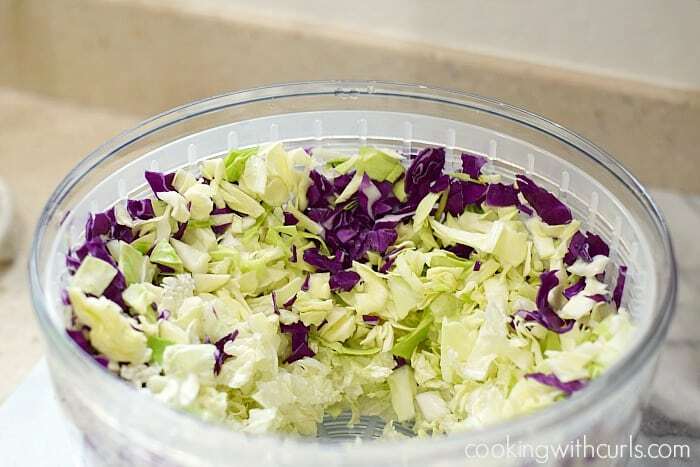 You can slice, then chop your cabbage…..
Once your cabbage is chopped, place it in your salad spinner basket and rinse it really well with warm water. Then spin, spin, spin to remove the excess water….. 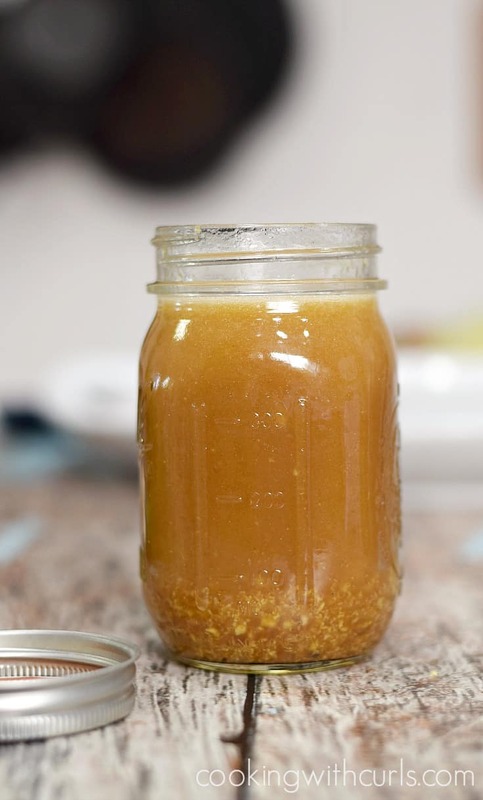 Combine oil, orange juice, vinegar, garlic, ginger, coconut aminos, fish sauce, and sesame oil in a 1 pint glass jar….. Secure the lid to the jar and shake to thoroughly combine ingredients. Set aside….. 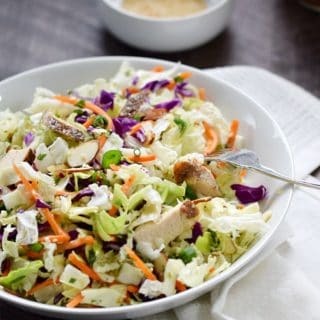 In a very large bowl, combine all of the cabbages, carrots, cilantro, and green onions…..
Add the chicken, toasted sesame seeds, and toasted almonds to the bowl. Toss to combine. 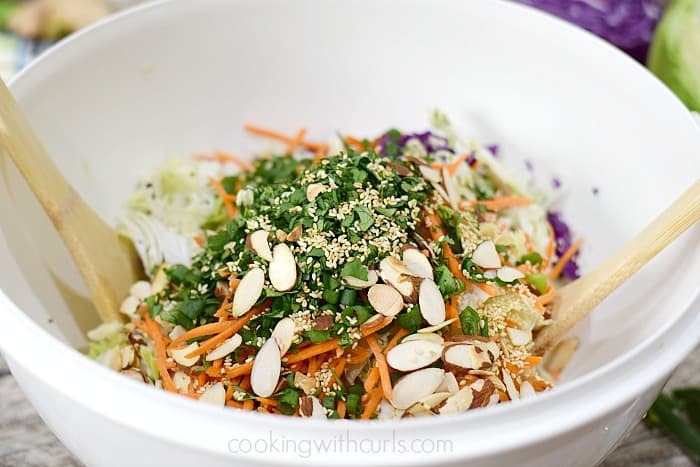 Drizzle salad with Asian Orange-Ginger Dressing and toss to coat. Serve immediately…..
To cook my chicken: I pounded the chicken breasts between two sheets of plastic wrap until they were an even thickness. Next, sprinkle both sides with Chinese Five-Spice and cook in a skillet with olive oil until cooked through. 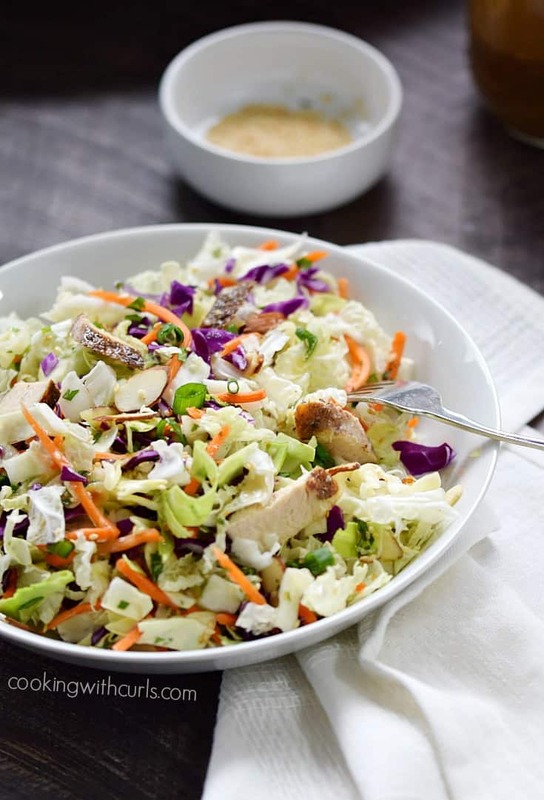 Rotisserie chicken works really well in this salad as well if you are looking for an even faster meal. If you know that you will have leftovers, serve the dressing on the side and store the leftover salad in a large plastic container or zipper top bag. 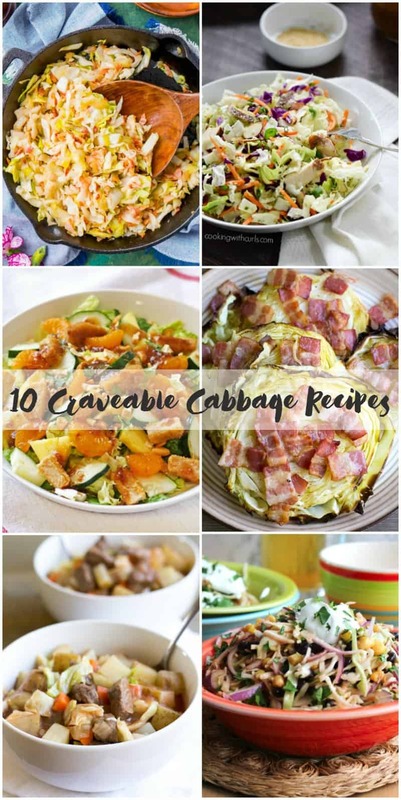 Don’t forget to scroll down past the recipe to see the rest of the Cabbage recipes! There are only pure, healthy ingredients in this Asian Sesame Chicken Salad and your family will love it! Whole 30 and Paleo compliant with no sugar or soy! 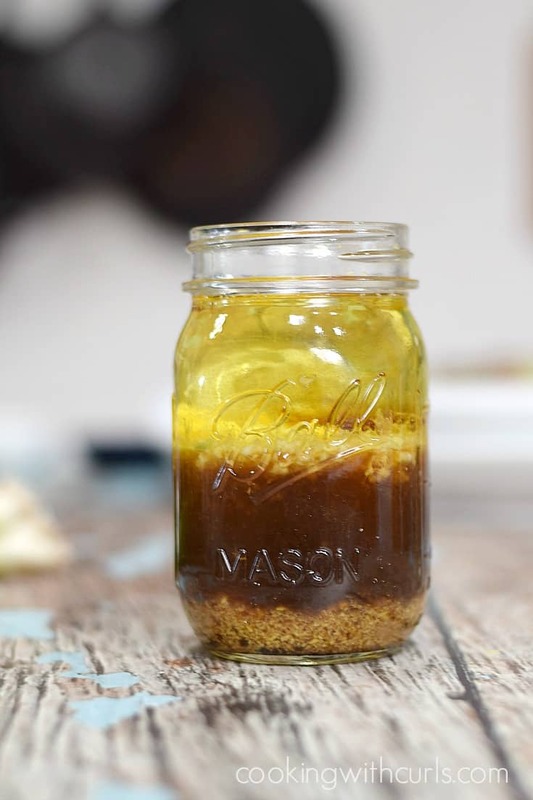 Combine oil, orange juice, vinegar, garlic, ginger, coconut aminos, fish sauce, and sesame oil in a 1 pint glass jar. Secure the lid to the jar and shake to thoroughly combine ingredients. Set aside. In a very large bowl, combine all of the cabbages, carrots, cilantro, and green onions. Drizzle salad with Asian Orange-Ginger Dressing and toss to coat. Serve immediately. Store leftover Dressing in the refrigerator for up to one week. I cheated and used packaged, shredded carrots. Pastrami & Relish Dog from Kleinworth & Co.
Irish Deviled Eggs from Home.Made.Interest. My kind of salad Lisa! It looks so fresh! Love the salad, what are coconut aminos? Thank you Kim. Coconut Aminos are essentially the sap from the coconut that is used in Paleo and Whole 30 recipes to replace soy sauce. You can substitute soy sauce for the coconut aminos, just don’t add any salt to the recipe until after you taste it. Coconut aminos are sweet, not salty like soy sauce.